I really like this Don. 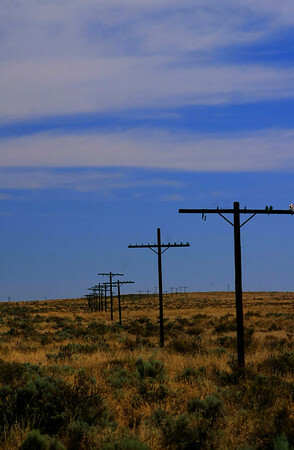 The telephone poles leads the viewer right into the picture and to the hrizon..
Love the color and framing! It feels very abandoned and void of the regular hustle and bustle of our world. A silent portion of the old Route 66 in New Mexico. The road is gone ,the telephone lines are gone, all that remains is the silence .